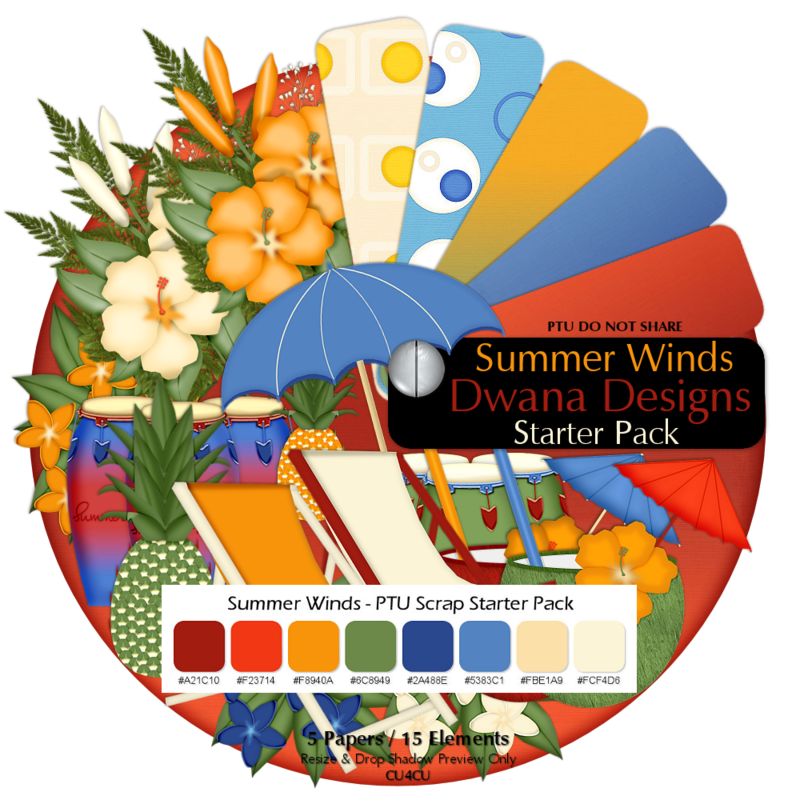 Summer parts for your latest scrap kit design? This kit offers several pieces to tie a kit together with. They are very clear in what you can do with my starter packs. Thanks for dropping by and having a look today, please come back soon. Everything in my store is 50% off! PLUS a big special surprise for all who read this! 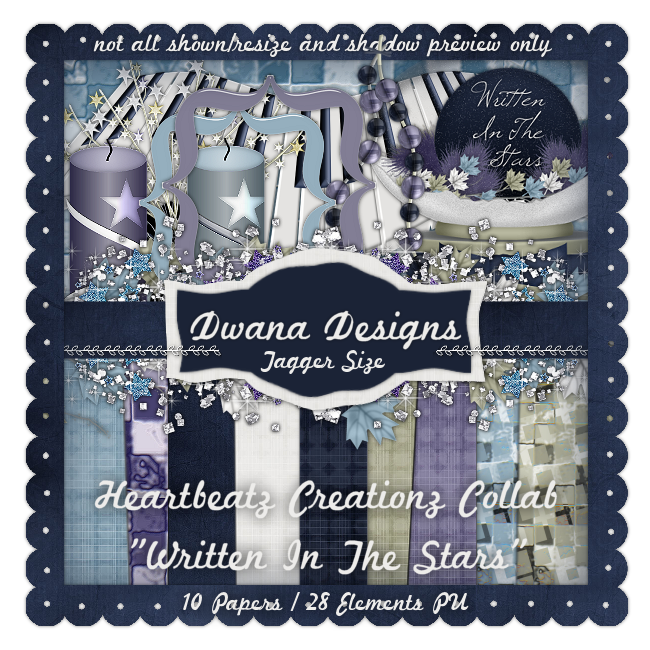 PURCHASE ANYTHING FROM DWANA DESIGNS and you can ... Email your receipt to me at this address dwanadesigns@gmail.com AND I WILL SEND YOU ONE ITEM of your choosing FREE!! [same or lesser value please] please include link to item in the store when sending in your receipt. That is a HALF OFF SALE with BOGO POTENTIAL! So be sure to check out the Mid Month Madness Sale Starting tomorrow at HEARTBEATZ CREATIONZ 2 DAYS ONLY! Hello Everyone. A little over a year ago, I made this Tagger Size kit for a store collab. I just recently realized it was sitting on ftp just taking up space, so I asked if I could do something else with it and was told it was ok to do whatever I wanted with it. 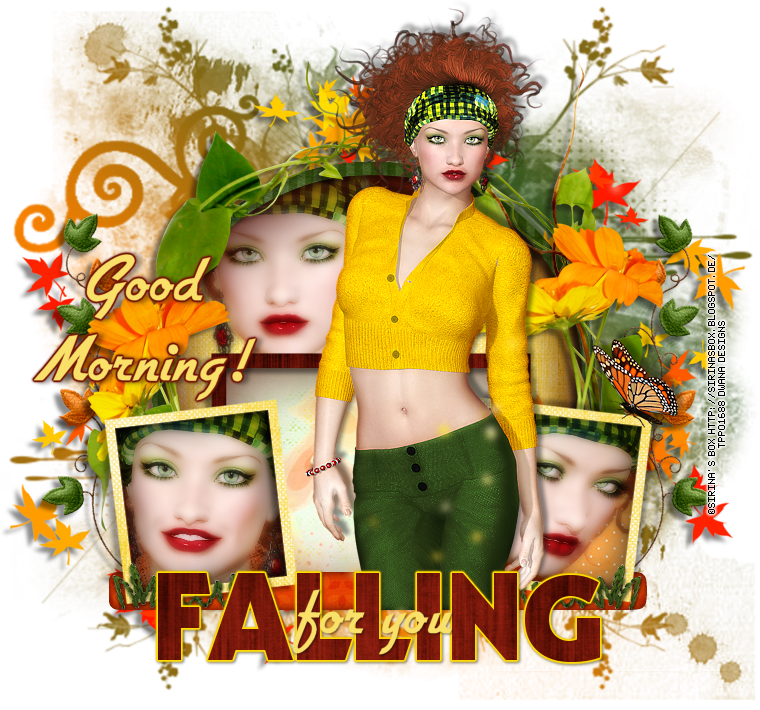 Kimmie at Kimmilicious Kreationz made this gorgeous layout for my CT Forum. I love it Kimmie, thank you so much for doing this for me! Here I am sharing it with you all :) Original post about this piece can be found HERE My preview :) Download link below it. It also comes in Tagger Size and 50% Off Sale currently going on! Click on the image to see in it full size. Gorgeous layout, Kimmie..Beautiful family :) You can stop by Kimmie's Blog to show her some love! Thanks for using my kit. Hello Everyone. 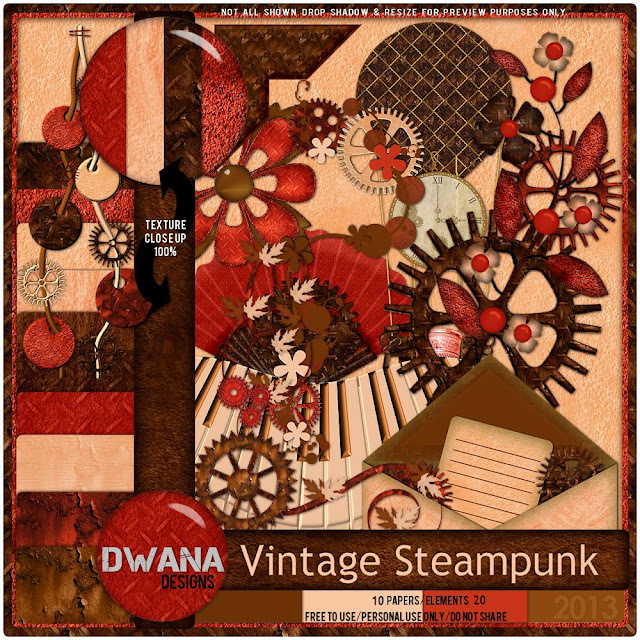 Dropping by this afternoon with a Steampunk Collaboration for you all. I teamed up with Misty's Scraps to create an inspiring steampunk kit. You can grab Misty's Part on her Blog HERE Be sure to leave her some love for her generosity and time. Below my preview you can find the download link for my part Only comes in Tagger Size and is for PU Only. Download Tagger Size Thanks for stopping by and looking today! 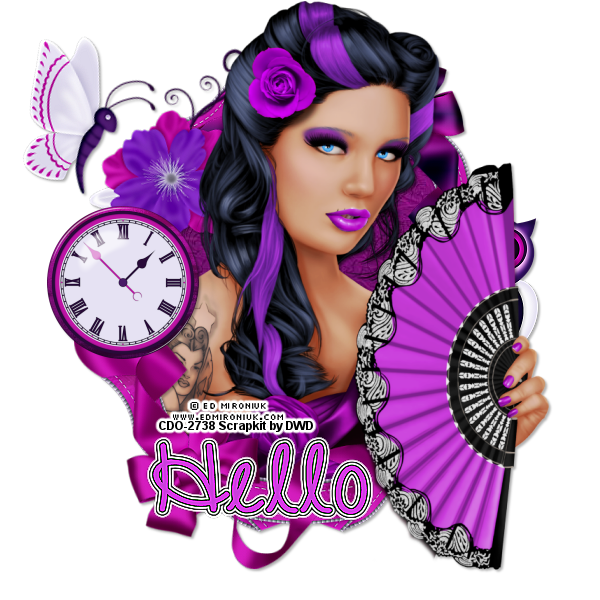 I would like to take a moment and welcome the wonderful ladies who create all these beautiful creations with my designs. Dwana Designs CT Team Lisa of Lisa's Stuff Trisha of Misty's Mayhem & Tutorials Kimmie of Kimmilicious Kreationz Thank you, Ladies for wanting to be on my creative team and for creating such beautiful works with my kits. I appreciate each one of your styles and look forward to whatever the future brings us as a team. Hello Everyone. 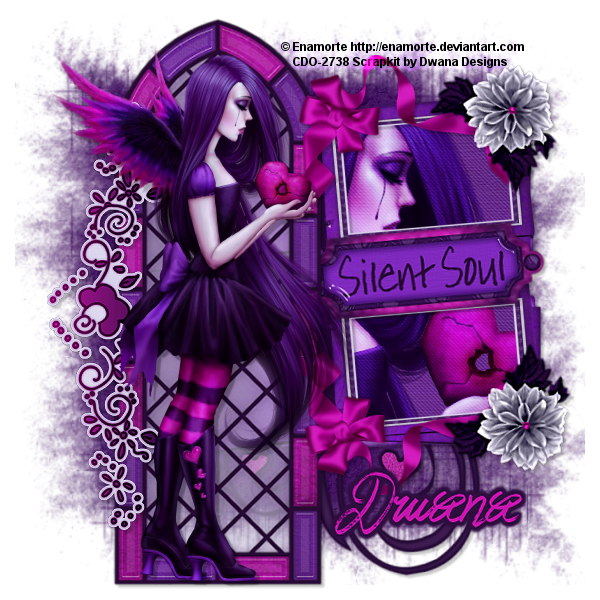 This evening I come sharing a few links and FTU/PU goodies made by a couple awesome ladies that I am very honored to have working with my kits. HERE My stores are listed to the right side of my blog at the top. Do Not Claim As Your Own Thank you for looking!